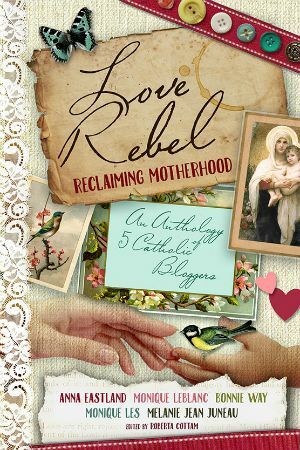 Today, my fellow Catholic blogger and darn good mom Sara Estabrooks is sharing her story of motherhood. I love her sense of humour… and wish I had her math skills! 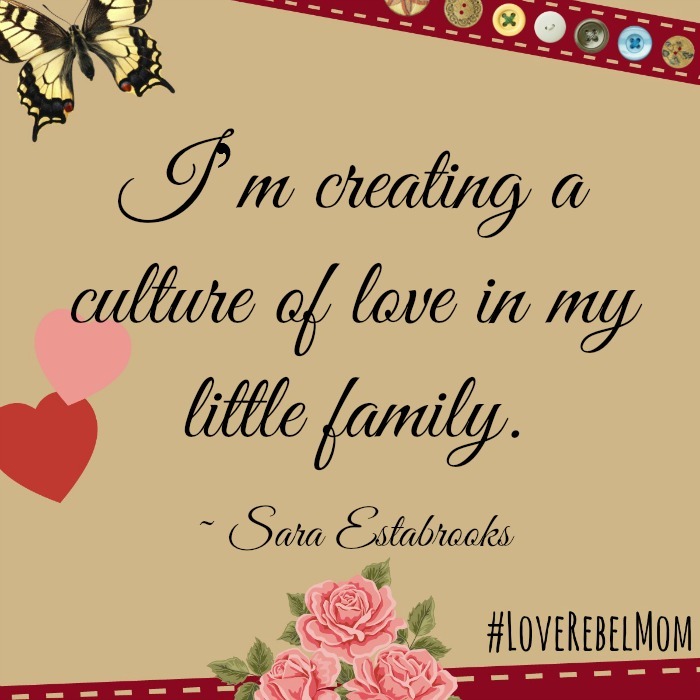 Read on to find out what this mathematician-turned-mom has to say about being a #LoveRebelMom. You guys, I have a problem: I’m darn good at what I do. It started in high school. I went to an all-girls school run by a beautiful order of sisters. They loved me: I was helpful, a good influence on my peers, and all-around a great Catholic girl. I did my best to follow God and live a holy life. It was tempting to follow that peaceful way of life. Oh so tempting. But in my heart I knew God had other plans for me. So I went to college. I studied math because it came easy to me and I could pretty much be guaranteed a job immediately upon graduating (yay shortage area!). I poured my heart into my studies. I excelled in my classes. I did impressive research in pure mathematics (I studied the intersection of modular circles and modular hyperbolas—WHAT?!). I’m even a published author in a mathematics journal. And my professors loved me. Again I was so tempted. But I don’t answer to the call of scholarships. I answer to God’s call. And He was calling me somewhere else. So I graduated college and landed a great teaching job in a local high school. And I rocked that job. I connected with the students. I found amazing new ways to present the same old boring material. I was a natural teacher. In the meantime I got married and became pregnant. Because that was my dream. That was my calling. To be a wife and mom. To love my family. So I finished out the school year and quit my job. “Stay with us,” they said. They offered me a no-strings one-year leave. They guaranteed my position. They offered me just one class – JUST ONE! They begged me to teach the AP kids. They promised child care was not a problem (whatever that means). I almost caved to the temptation this time. I was *this close* to accepting that last job offer. But then I remembered who I am and what my real job is. I am a rebel. I am a mom. My job is love. So like I’d done before, I turned this opportunity down. The world still calls. They think my life has gone to waste. They beg me to come back, to make the difference they know I can. But I know something they don’t know. My life is not a waste. My college education and teaching experience didn’t go to waste. I homeschool my own kids plus a few extra math students. The faith and devotion from my high school years didn’t go to waste. I live it every day. I teach it and pass it on to my children. And I share my love of prayer on my blog. I AM making a difference in the world. I’m creating a culture of love in my little family. I am a Love Rebel Mom. I don’t answer to the call of others, no matter how tempting it can be. I could have been a religious sister. I could have been a mathematician. I could have been a teacher. But God called me to be a mom. And I’m going to be a darn good mom. Is God calling you? Remember this: Your life is not a waste. Your amazing God-given talents will go to great use in your family. You don’t answer to anyone but God. 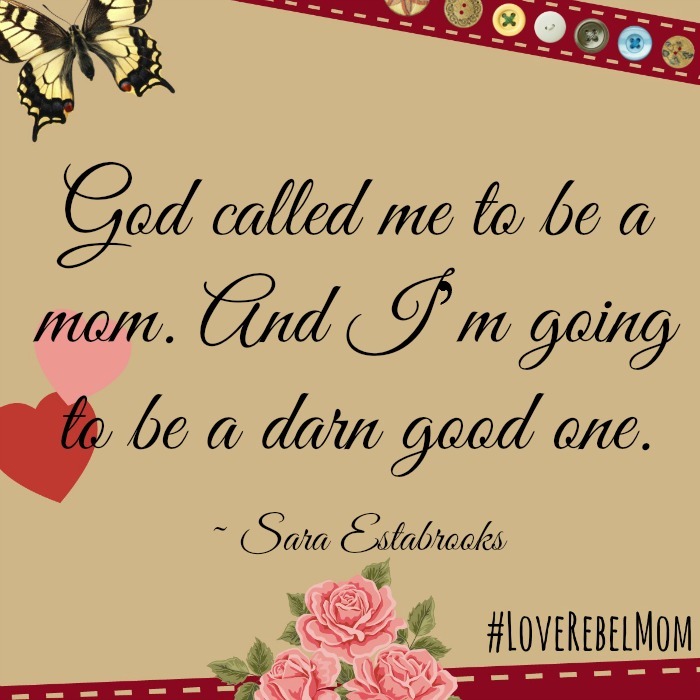 You can be a Love Rebel Mom too. Sara Estabrooks is passionate about the Catholic Faith. 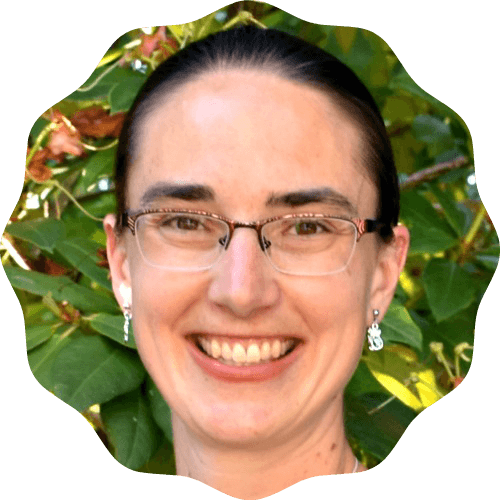 Her goal is to help boost your prayer life by sharing her reflections. On her blog, ToJesusSincerely.com, you’ll find prayer tips, meditations, and inspirational posts. You can also join Sara in her monthly Virtue Challenge, where we can support each other in living the call to holiness. 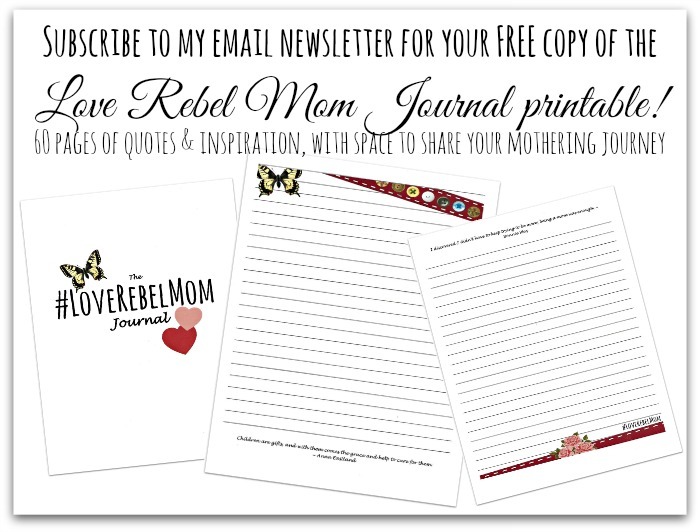 Subscribe to my email newsletter for your free copy of the Love Rebel Mom journal printable, with 60 pages of quotes and inspiration, plus space to share your mothering journey! Amen my friend! Love it! And look – we (because I was a teacher before mommyhood too) can be full-time moms and work from home with our writing! You ignite the fire of faith in your children and your readers! You go girl!!! This reflection is so perfect. We don’t always feel as though we are doing our best – certainly. But, we know our intentions, and more importantly, God knows our intentions. He has given us a beautiful gift, and it is such a rebellious thought to see our children, not just as gifts, but also to treasure the gift and strive our hardest to do best by the gift! 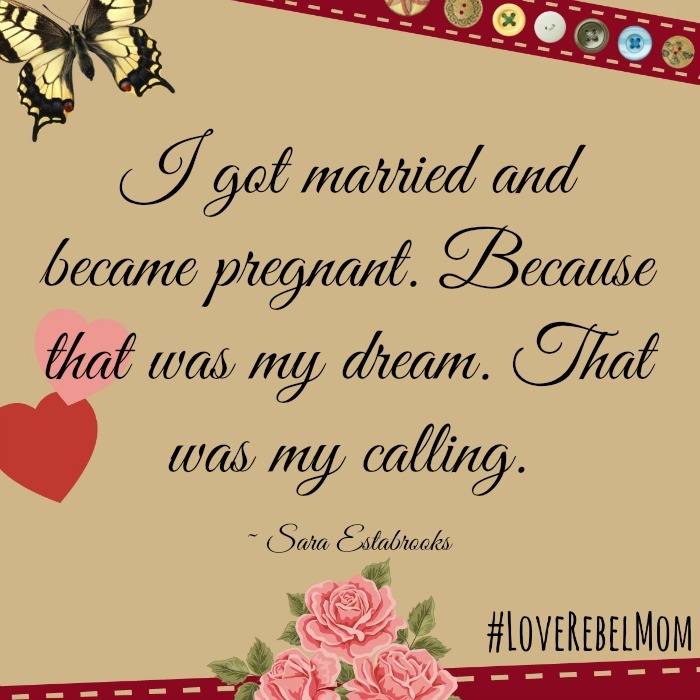 Thank you for sharing your Love Rebel Mom thoughts! Loved this! In a world that seems to glorify failure when it comes to domestic things, I love to hear stories of women owning the fact that are GOOD at this. Especially that we can be good at being wives and mothers while still having other talents and gifts – we’re just using them in different ways.